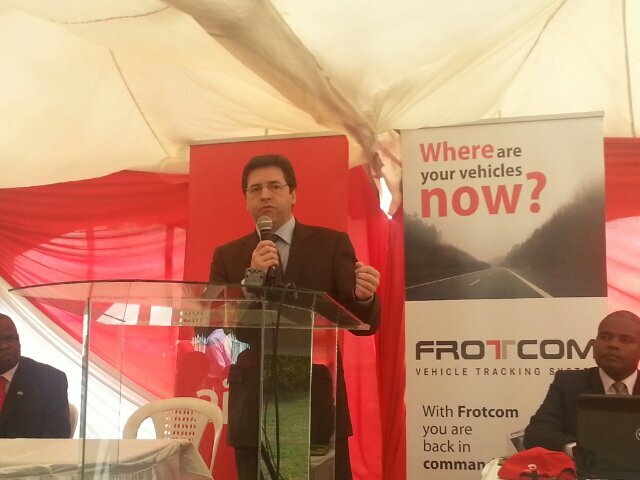 Airtel, together with partners Frotcom and 2NK SACCO launched a road safety initiative that aims to encourage safe driving in Kenyan roads. 2NK SACCO, with 550 vehicles, is one of the public service vehicle fleets and they were the pilot of the fleet management system by Frotcom. The system will enable administrators at 2NK SACCO monitor speed of vehicles, location and stops made. The system can also be accessed by other parties and the Kenya Traffic Police will be involved in a way of getting reports on overspeeding drivers including the data on where and when. The system will also track fuel consumption and will give alerts when drivers divert usual or expected routes in their daily business. This will assist abet incidences like car jacking, or vehicle theft. Reports and alerts will be accessible via data enabled handsets with Airtel numbers that they can pay for through monthly instalments. They will also have access to unlimited calls using closed user group rates within SACCO group members and also access internet on Airtel data network for visual reports. This they can use to make arrests and in the long run make our roads safer. Airtel Kenya Managing Director Mr. Shivan Bhargava noted that his company believed that business was not an end itself but a means to helping the society achieve more, and that Airtel has a special role in helping Kenyans accomplish more in their daily lives. “Economic implications of lives lost on our roads cannot be ignored,” he added. Through the partnerships, payments of fares will be facilitated via Airtel money and direct transfer of cash from Airtel Money Pay Points directly to the vehicle owners, hence reducing risks associated with cash handling. Cashless commuting was also encouraged by Matatu Owners Association Chair Simon Kimutai saying this would help reduce bribery and other vices associated in handling cash. area, and I do not want my station taxis to invade other stations.